Every child loves confetti, and they will love these confetti inspired Eid Mubarak Flags. 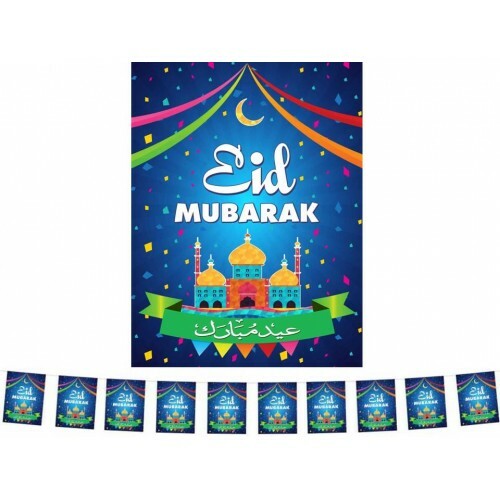 Great to hang up at home, in the classroom or at the mosque to brighten up your Eid celebration. Each Flag is 17cm wide 22.5cm long. 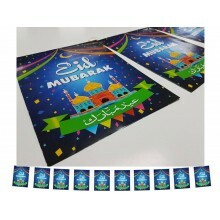 Match with the Blue Confetti Eid Mubarak Double Banner and multi coloured Eid Mubarak balloons to make this Eid the best ever.